when I drove away to visit my Mom for a few days I finally got myself my own copy of Dynamite magazine at the trainstation and realised.... 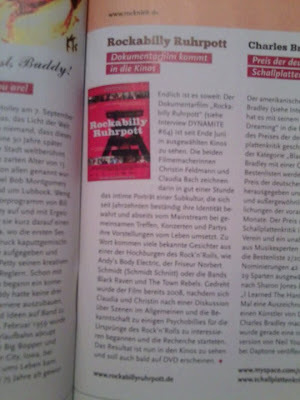 There is not only a review of Rock ´n Hair in it - no there is also something about Rockabilly Ruhrpott. That means: Double Sari :-D Yay!